Situated at the top of the iconic Sea Containers building on vibrant South Bank, a stone’s throw from the City of London London’s newest roof top space with a view across London. Sea Containers House is a building that was intended to be a luxury hotel but by the time it was completed the economic climate made that impossible. It was used instead as an office building and in fact it got its name from the global company that occupied it. Perhaps ironically, the building reflected the style that its architect had applied to his famous Windows on the World restaurant in New York, so was more appropriate for a hotel than a shipping company's office. The Platform Lift Company was contacted by Structure Tone Limited to design two platform type lifts that would not impact the London skyline from any other building, so with the help of the Architects, project managers and our very own platform lift designers we got to work on some very contemporary designs giving the disabled user a “WOW” feeling travelling up into the luxurious roof top bar. After many meetings the Platform Lift Company’s British style type lift with a fully glazed shaft and a colour that was in keeping with the rest of the building was accepted and put into manufacture. The next challenge was to get the lift into position and installed onto the 14th floor… this was the easy part as the British style platform lift come completely flat packed and can be manhandled easily by two engineers. 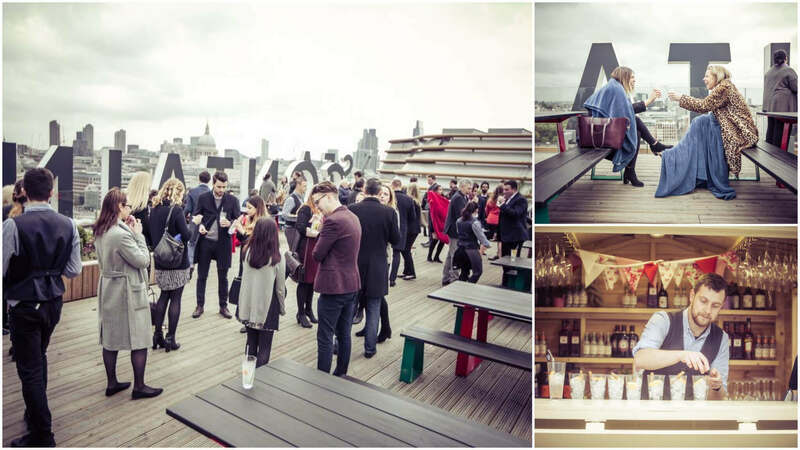 View the launch event of London's newest roof terrace space.